Similarly, with a little more thought and time you can change the interior design of your home by adding a new accessory, finding a perfect piece of art or changing the draperies. 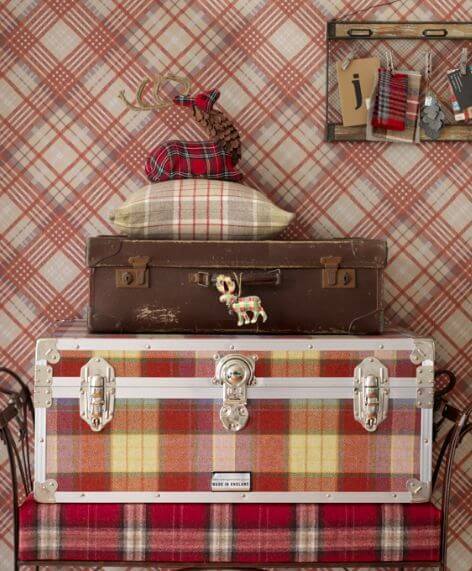 Tiffany advises her clients to take a risk, live out loud, make a change and add a little plaid! 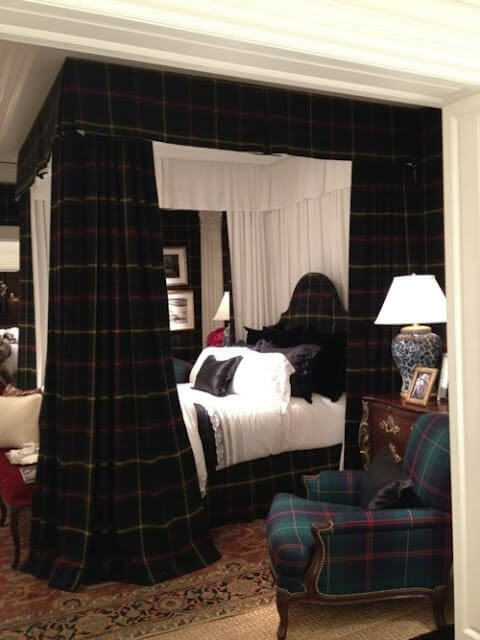 With a nice hot rum toddy in hand cuddle up in front of a roaring fire and read “Adding Scottish Tartans Will Make Your Home Cozier in an Instant” in Architectural Digest. Who doesn’t love a photo like this? Imagine a long walk with your dog alongside a riverbank on your estate in Scotland? 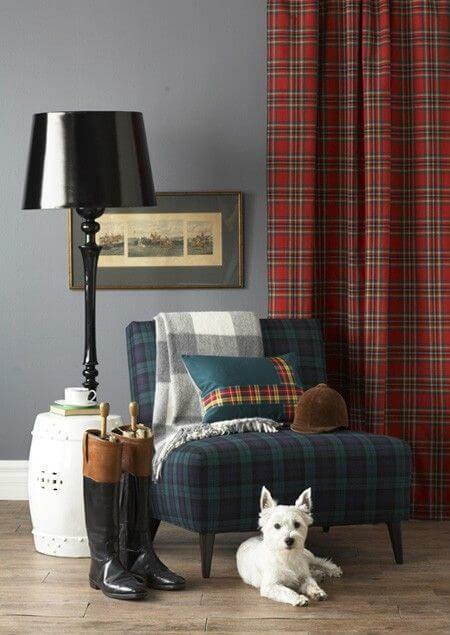 The trick is layering; notice how these different plaids work so well together. The fabric canopy creates an intimate yet updated space. My imagination drifts to my forefathers, knights in armor, battles won and lost and generations of history when I look at this room! 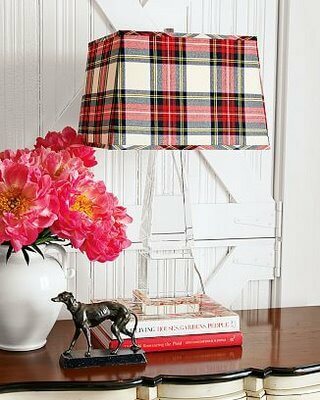 This is a perfect example of updating a lucite lamp with a classic plaid pattern. The shade gives this lamp a fresh updated look creating an instant statement. Philip Lim knows how to style today’s women. I love the casual jean shirt around her waist, the side braid and her cowgirl booties. This is the perfect balance of edgy and playfulness.